Owing to immense experience in this domain, we became efficient in providing quality Occupancy Sensor. We are capable of catering to buyers anywhere in Pune(India) as well as any other place. We have resources to reach the buyers' Pune(India) with ease. The Model OSC-200 Omnidirectional Occupancy Sensor automatically controls a HVAC ventilation system. A spherical Fresnel lens provides a 360° detection zone with the use of infrared technology. The integrated dual delay processor saves energy by eliminating false activation due to short-term occupancies. The Model OSC-200 is designed to be ceiling mounted. 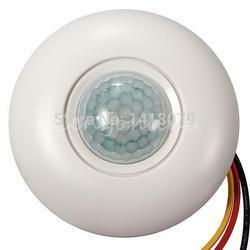 for auto switching of lights in Living Room, Bathroom, Common Passage or Walkway. This can be programmed for auto OFF once the person leaves the room. The sensor action can be combined with any Scene involving multiple light sources, to turn the room into complete Auto Mode. Considered as a noted business name, we are engrossed in the arena of presenting a world class consignment of Occupancy Sensor with Timer. In conformity with the guidelines defined by the industry, these offered products are widely cherished. To add, these could be availed form us at inexpensive rates. PIR Occupancy Switch is a premium range of Occupancy/ Presence detector. It supports excellent performance with uncomparable optic design. 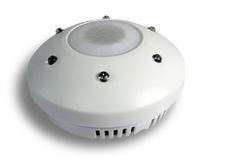 - The Ceiling Mounted PIR Occupancy Sensor accurately detects occupancy and automatically switches lighting on and off. This helps users to save lot of energy wastage. Weight G: 0.42 oz (12 g). RF Transmission Range: 80' (25 m). Operating Light: 50 lux (min).